Quotations about Beautiful Flower. Quotes to stimulate mind and drive action! Use the words and quote images to feed your brain inspiring things daily! 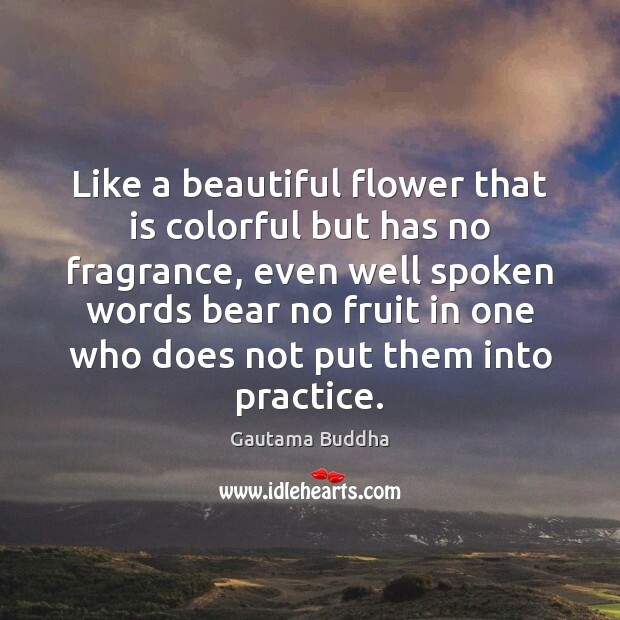 Like a beautiful flower that is colorful but has no fragrance, even well spoken words bear no fruit in one who does not put them into practice. Thanks Darling for the beautiful flowers and all the prayers. Now can you just get my puppy past security? 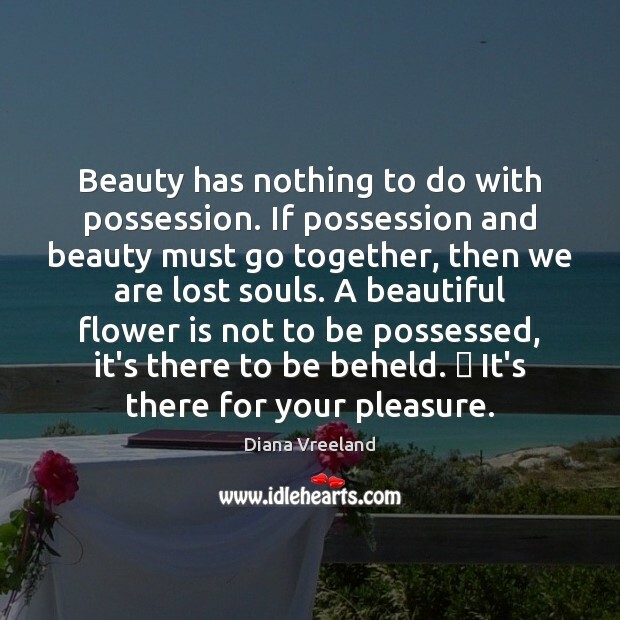 Beauty has nothing to do with possession. If possession and beauty must go together, then we are lost souls. A beautiful flower is not to be possessed, it's there to be beheld. It's there for your pleasure. 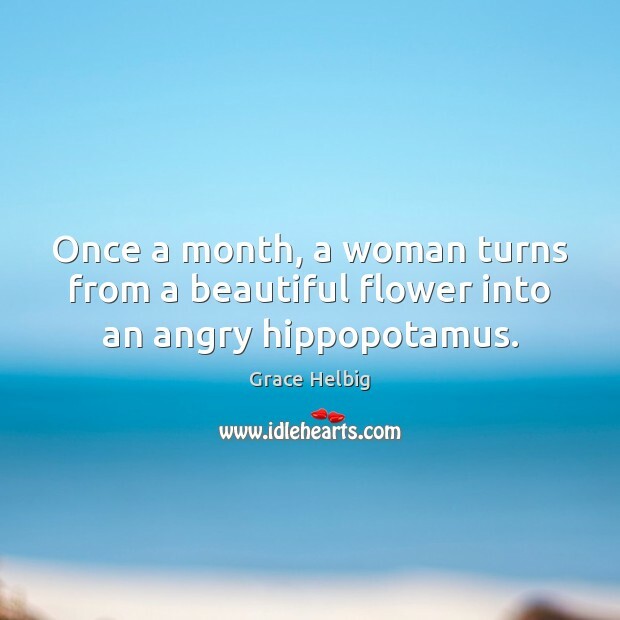 Once a month, a woman turns from a beautiful flower into an angry hippopotamus. 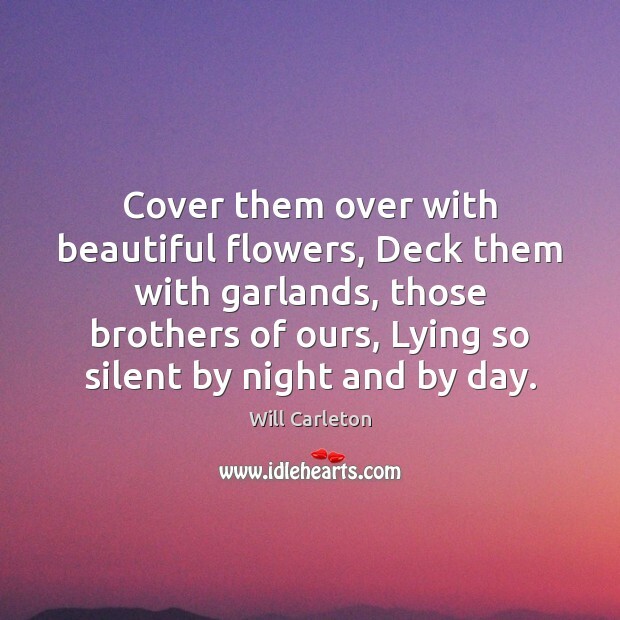 Cover them over with beautiful flowers, Deck them with garlands, those brothers of ours, Lying so silent by night and by day Sleeping the years of their manhood away. 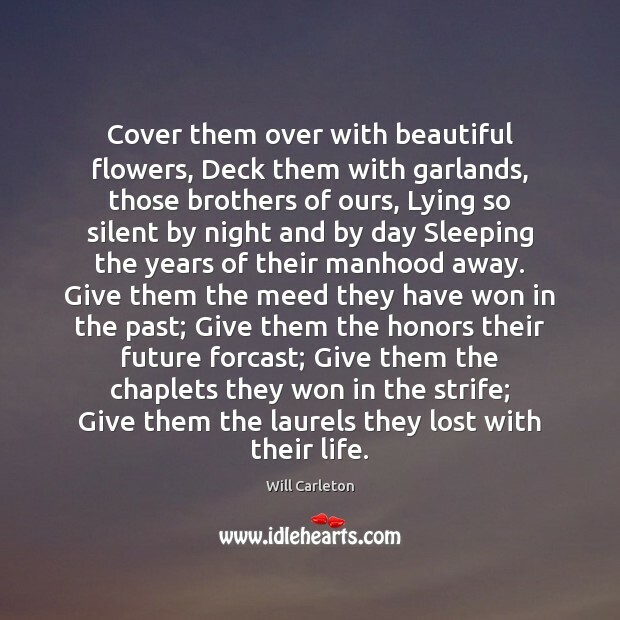 Give them the meed they have won in the past; Give them the honors their future forcast; Give them the chaplets they won in the strife; Give them the laurels they lost with their life. 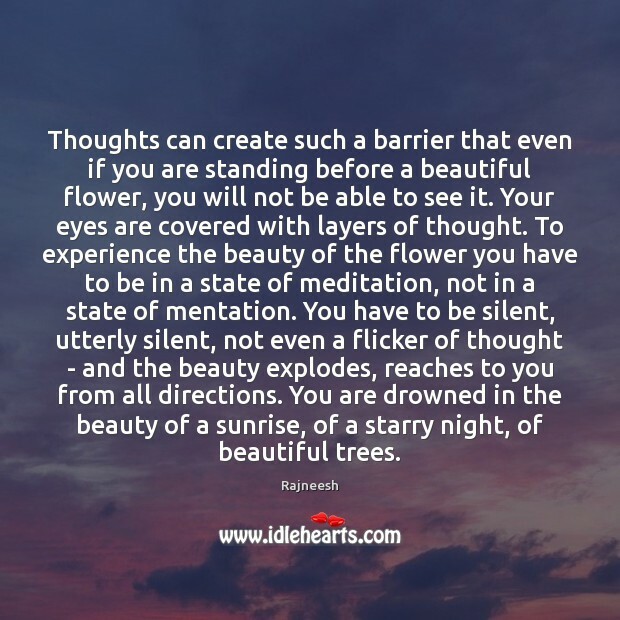 Thoughts can create such a barrier that even if you are standing before a beautiful flower, you will not be able to see it. Your eyes are covered with layers of thought. To experience the beauty of the flower you have to be in a state of meditation, not in a state of mentation. You have to be silent, utterly silent, not even a flicker of thought - and the beauty explodes, reaches to you from all directions. You are drowned in the beauty of a sunrise, of a starry night, of beautiful trees. 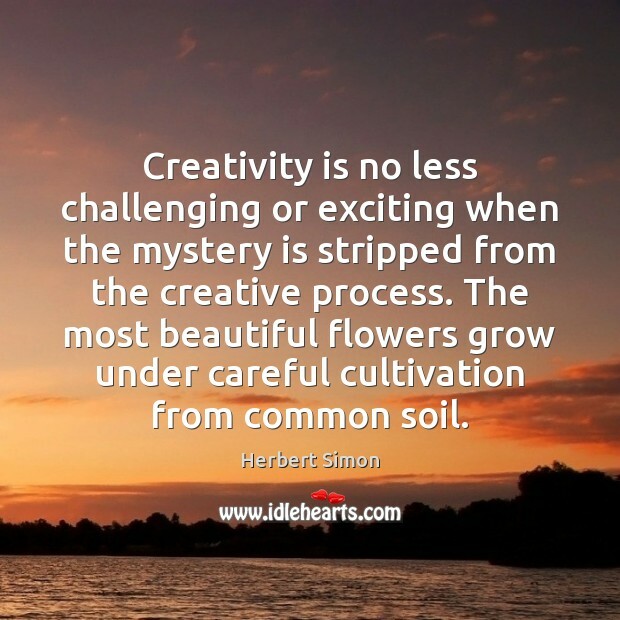 Creativity is no less challenging or exciting when the mystery is stripped from the creative process. The most beautiful flowers grow under careful cultivation from common soil. 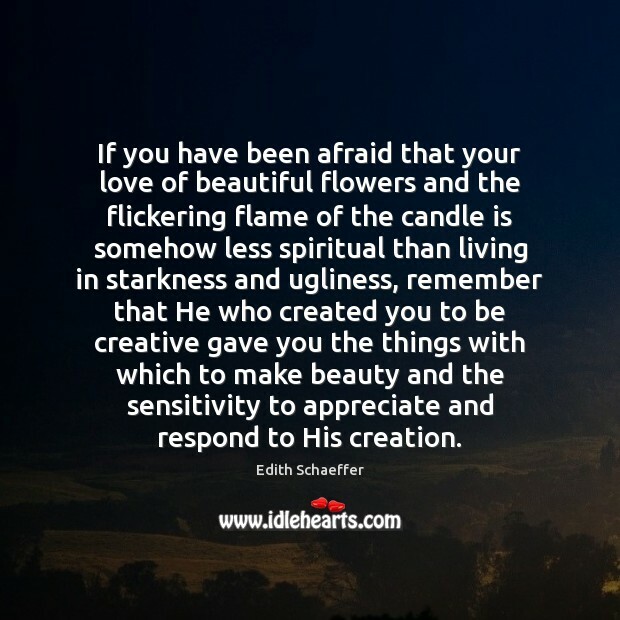 If you have been afraid that your love of beautiful flowers and the flickering flame of the candle is somehow less spiritual than living in starkness and ugliness, remember that He who created you to be creative gave you the things with which to make beauty and the sensitivity to appreciate and respond to His creation. 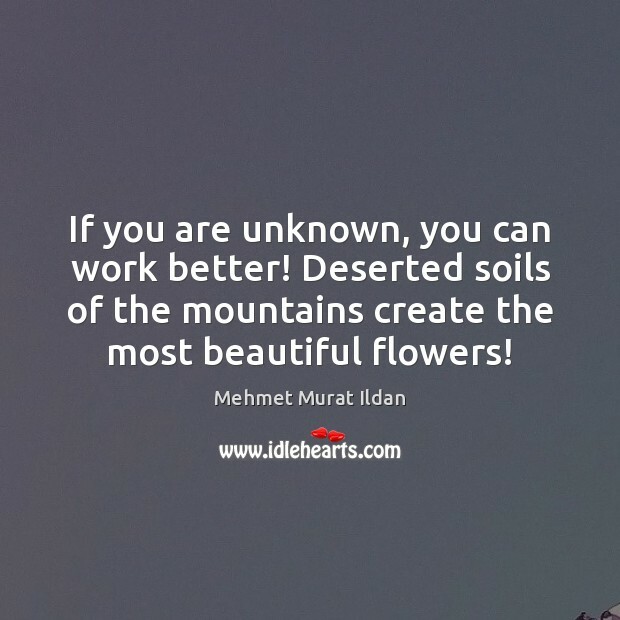 If you are unknown, you can work better! Deserted soils of the mountains create the most beautiful flowers! In love, treat your relationship as if you are growing the most beautiful flower. Keep watering it, tend to its roots, give it lots of sunlight, and always make sure the petals are full of color and are never curling. 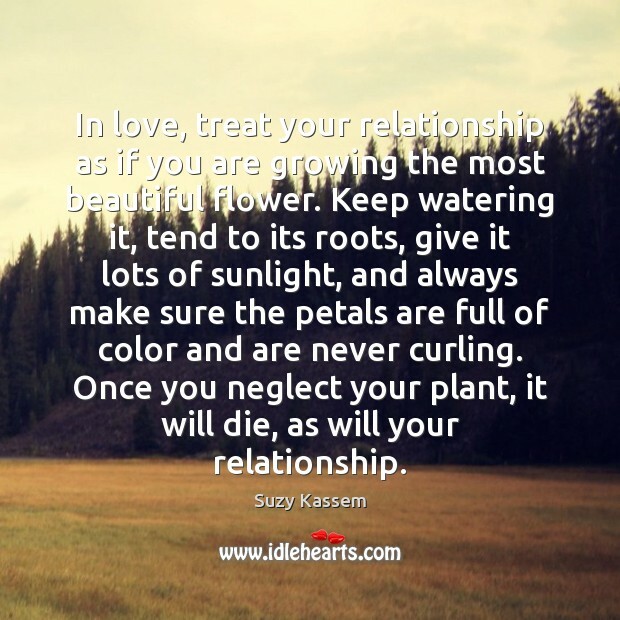 Once you neglect your plant, it will die, as will your relationship. Cover them over with beautiful flowers, Deck them with garlands, those brothers of ours, Lying so silent by night and by day. 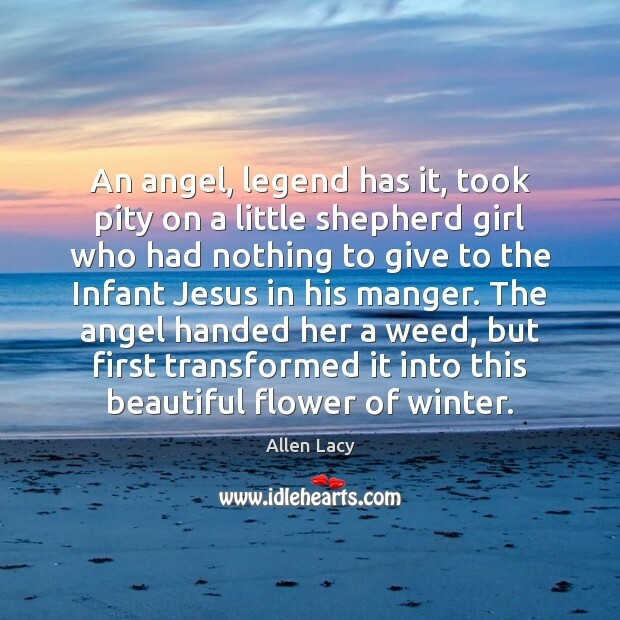 An angel, legend has it, took pity on a little shepherd girl who had nothing to give to the Infant Jesus in his manger. The angel handed her a weed, but first transformed it into this beautiful flower of winter. In the autumn I gathered all my sorrows and buried them in my garden. And when April returned and spring came to wed the earth, there grew in my garden beautiful flowers unlike all other flowers. 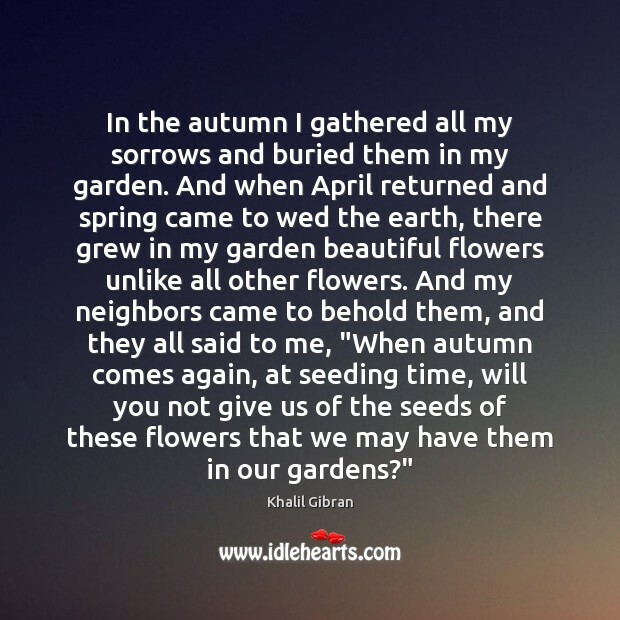 And my neighbors came to behold them, and they all said to me, "When autumn comes again, at seeding time, will you not give us of the seeds of these flowers that we may have them in our gardens?" 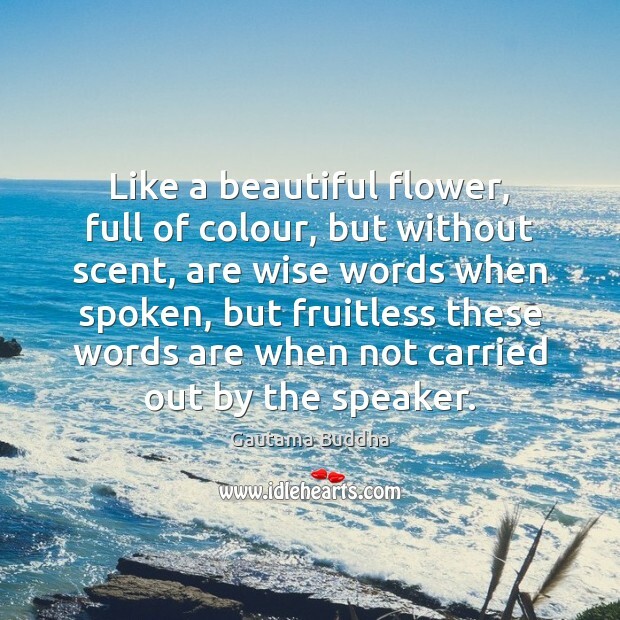 Like a beautiful flower, full of colour, but without scent, are wise words when spoken, but fruitless these words are when not carried out by the speaker. 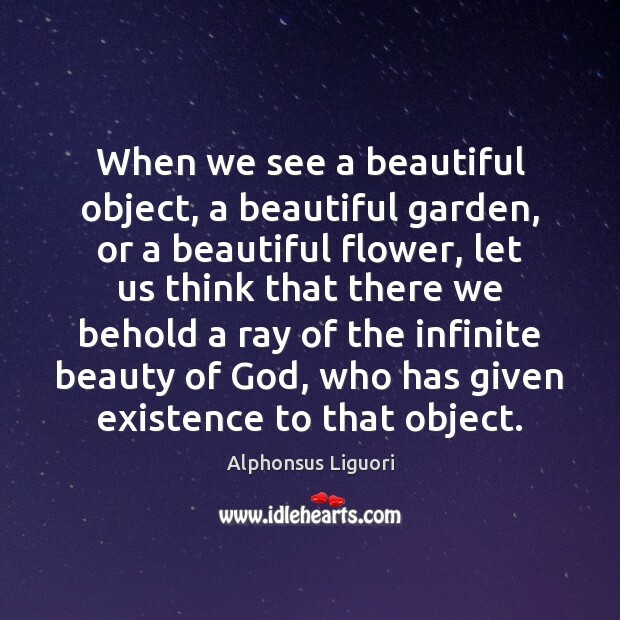 When we see a beautiful object, a beautiful garden, or a beautiful flower, let us think that there we behold a ray of the infinite beauty of God, who has given existence to that object. 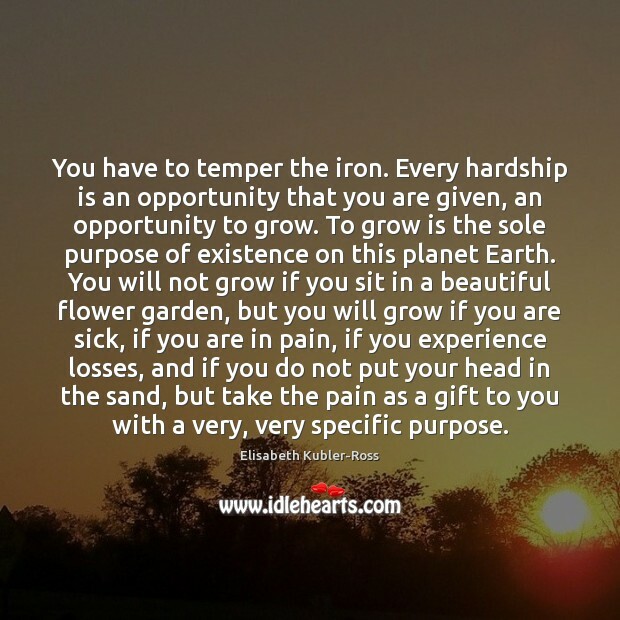 You have to temper the iron. Every hardship is an opportunity that you are given, an opportunity to grow. To grow is the sole purpose of existence on this planet Earth. 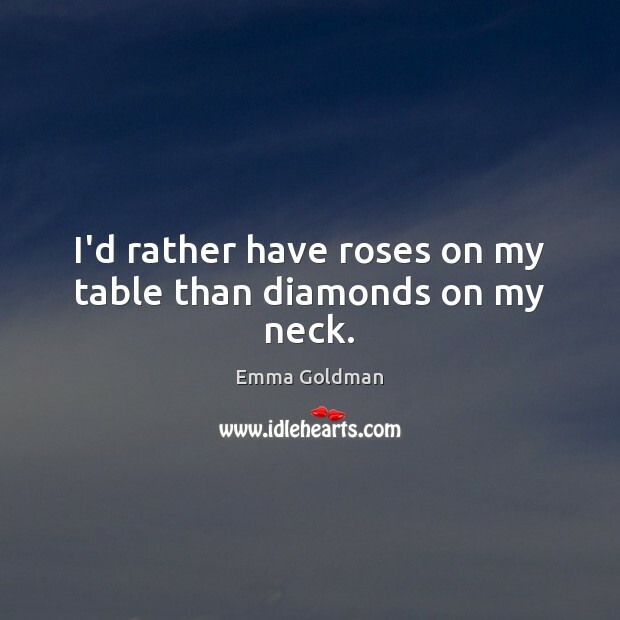 You will not grow if you sit in a beautiful flower garden, but you will grow if you are sick, if you are in pain, if you experience losses, and if you do not put your head in the sand, but take the pain as a gift to you with a very, very specific purpose.